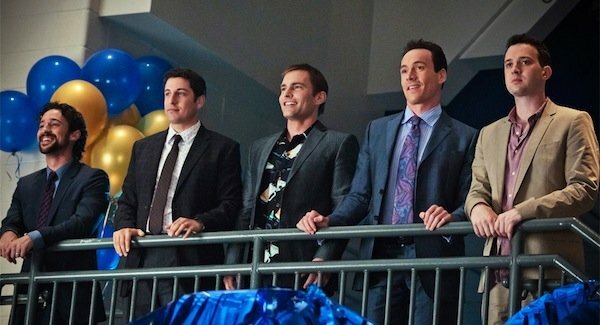 It looks like the nostalgia of American Reunion was more infectious than many may have deduced, as according to The Hollywood Reporter, Universal has secured Jon Hurwitz and Hayden Schlossberg (the writing/directing of April’s four-quel) for American Pie 5. Like Scream 4 and the soon-to-be-released Scary Movie 5, long-overdue sequels to dredged-up properties have the propensity to see dwindling box office returns. Unsurprisingly, such was the case with American Reunion – domestically at least. Worldwide, the return of Jim, Oz and Stifler amassed a huge $233.6 million, which was right on par with the gross of the series in its heyday, and a nearly-five-fold return on investment (facts the studio was unlikely to overlook). Even more important (for viewers at least) was that American Reunion was actually a reasonably strong return for the decade-old series and was well received by original fans and new generations (even if the critical consensus was less than glowing). What remains to be seen is if there is more of a story to tell with these characters now that that the novelty of their return has begun to wear off. Upon what adventures the high school buds would embark in American Pie 5 are practically non-existent, as Hurwitz and Schlossberg have just been courted by Universal to return for a fifth outing. Also unknown is if the entire principle cast will again return but when examining the commitments of anyone whose names aren’t Seann William Scott and Alyson Hannigan, it seems likely if the paycheque is right. Whatever the story, are you excited for another slice of the pie?